Boarding – "We're all about the Dogs!" You won’t have to worry knowing your dog is safe and sound while you’re away. They will get plenty of love and playtime in our home-away-from-home! What we need from you: a copy of the most recent rabies vaccine. If you cannot find these, we can get ahold of your vet and have them faxed over. We cannot take any pets with expired rabies vaccines. We have a short application and contract for you to fill out so please arrive a few minutes early to your first appointment. This helps us better understand your dog’s personality and needs. Please bring your dog’s own food, and feel free to bring any toys/beds/blankets to help your dog feel more at home. If you forget their food, we can feed our own (Zignature or Earthborn Holistic) for $2 per dog per day. All appointment times must be scheduled at least 24 hours ahead. Boarding per night = 24 hours. If they are here longer than that by pick-up time they are subject to an additional Daycare fee. Example: If you drop off at 1pm on a Tuesday, then the $32 charge would cover until 1pm the next day. 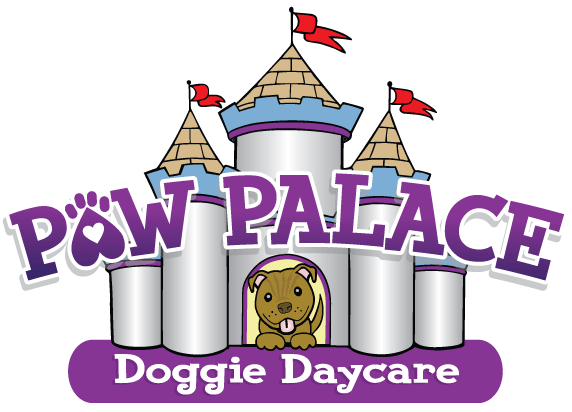 Say you can’t pick the dog up until 6pm the next day, it would be $32 plus a half day Daycare fee of $12 (This does not apply to weekend boarding since there is already an extra charge). Dogs will spend the night in our spacious 3’x5′ or 4’x6′ kennels, and have plenty of playtime during the day! Any missed appointments will result in a $25 late fee.